dual wield with 19000es OP! Fun-looking build - had seen you via poe.ninja's builds sections when checking out different BV Chieftain gearings. When did you switch over to CI? Probably it was character level 70. Because discpline gem level 20 and blade vortex gem level 20 need character level 70. Hi i played this build based on your build. no watchers no greatwolf and no uber izaro jewel. But managed to take Uber atziri, shaper and fully sextanted/scarab boosted mega guardian t16 maps with breaches n abysses alike no problemo. 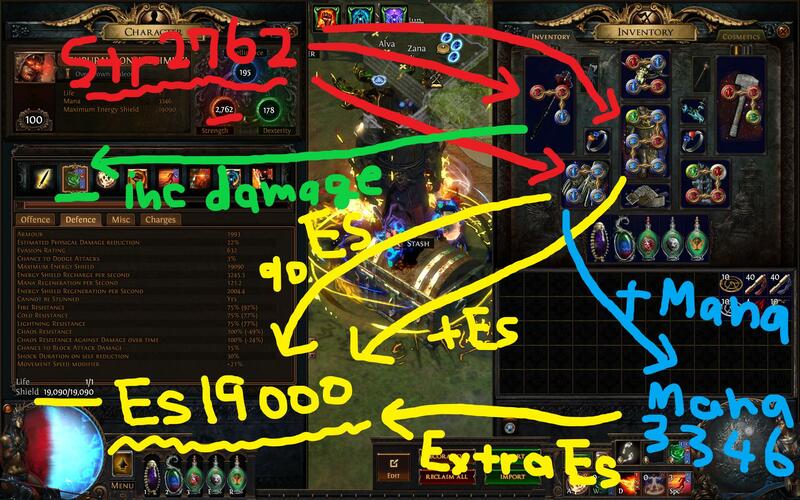 I uploaded my Uber Atziri kill and linked to this guide. Hope that was okay :D ill take it down if not.